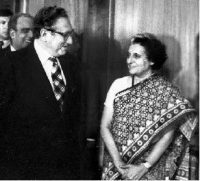 Secretary of State Henry Kissinger visited India October 28, 1974 to discuss its nonalignment policy, which aimed at preserving India’s post-colonial freedom through refusal to join any coalition, including the U.S. or Soviet blocs. Relations between New Delhi and Washington were anything but cordial at this time. 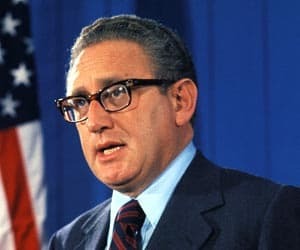 The 1971 refusal of Nixon and Kissinger to support India during the Bengali Genocide, combined with India’s testing of a nuclear bomb in May 1974, set the scene for a tense visit. From denying his speechwriter access to the speechwriters’ office to demanding that his plane turn around to giving a speech he hated, Secretary Kissinger managed once again — despite everything — to score the jump-start of a diplomatic success. Mark Palmer, then Kissinger’s speechwriter, recalls the begrudging efforts of the Secretary to repair relations with India, which were met with overt snubs by the Indians. Charles Stuart Kennedy interviewed Palmer in 1997. You can also read this Moment on speechwriting for Kissinger. Browse through our to read more humorous incidents and winning hearts and minds during the Cold War. PALMER: We went to India and gave a nonalignment speech. Henry hated nonalignment. 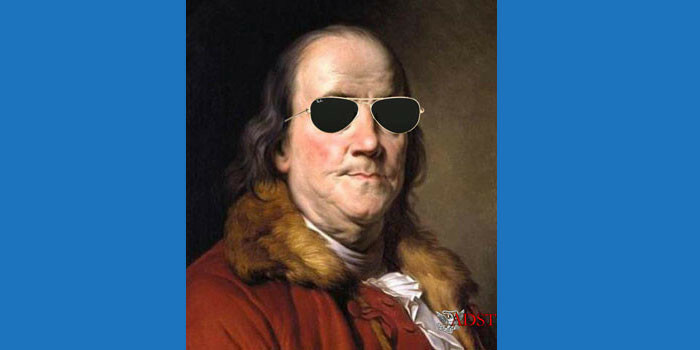 As a history, as a group, everything about nonalignment drove him crazy. A number of people in his inner circle, Hal Sonnenfeldt and others, fought against even doing this speech. But it was my perception and others that he had to — if he was going to go to India, to make up for the tilt in ‘71, Pakistan and stuff — that we had to address the issue of nonalignment…. Anyway, he spent a lot of time on that speech, a speech that he hated giving. But he worked on it right up until just minutes before he gave it…. We’d been working on the speech. Pat Moynihan was our Ambassador in India, and therefore the host ambassador for where this thing was going to be given. Pat’s a wonderful writer and so he and I kind of co-wrote this speech. Pat flew up to Moscow because we were coming to India from Moscow. 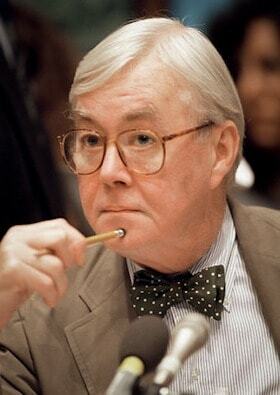 Henry knew that he was coming, and he had a certain kind of rivalry with Moynihan. So he ordered our security people to tell the KGB people that if somebody named Moynihan showed up at the guest house in the Lenin Hills where we were staying, that he should not be admitted. So he had invited Moynihan to come to Moscow and then told people to not allow him any access. So I was in the guest house with Henry and Moynihan arrives and he’s told to go away by the gate guards. And I was dumbfounded even though I’d worked for Henry for a fair amount of time. At that point, I still was dumbfounded that he had done this. So I looked into it. I thought it was a mistake. No, it wasn’t. I found out he had done it personally. So anyway, I went down to the hotel and worked with Pat in the hotel. — That Henry Kissinger thought his visit was of real importance and she didn’t think that this was correct. — That the United States thought that Indians were beggars and she was not going to beg. — That she was only going to be there for a brief time and was then going on vacation. So Pat and I looked at one another and Pat then sends a message to the embassy saying, you know, “Is this correct?” hoping that somebody in the embassy is going to have the wit to… you know. Boom! comes back a message from the embassy. Oh, Christ! At that point we were only about 15 minutes out, we were still flying in. 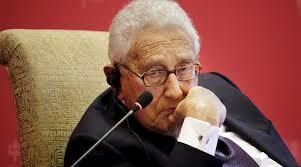 So Kissinger again goes ballistic and starts screaming. He realizes that he’s got in his hand my arrival remarks and he looks down and he starts screaming at me, “Just because you’re married to an Indian doesn’t mean you have to write this drivel about India.” And, “this God awful woman” and “we’re not landing!” And boom, we land! The doors open. There’s Henry Kissinger standing at the top of the steps. Down below at Palam Airport is half of India, you know, the Foreign Minister and the Defense Minister and the press. It’s a big event. We hardly ever go to India in those days. And he goes on and on with stuff I never would have dreamed of writing. So positive! Unbelievable stuff comes pouring out about how wonderful she is. Christ! So we go in and he has this meeting with her. Forty-five minutes and she goes intentionally on vacation. Henry obviously thought that, well, he’ll do his best, he’d send all the right signals, and things will work. Well, they didn’t work. She was determined to show that she was who she was and that he was just some visiting Secretary of State. So then the next act in this drama: the next day he’s giving this nonalignment speech. So the head of the Indian Foreign Policy Council or Institute or whatever is this ancient man. He’s almost 90 and is basically “gaga.” The Indians were hosting the speech, they were providing the forum. Well, sure enough, he’s there in the sling and everything. He gets up in front of this crowd. 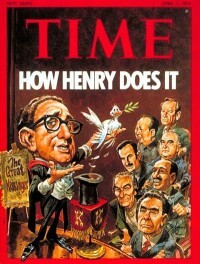 Henry’s sitting there with the Foreign Minister, the Defense Minister, etc. Everybody is sitting on this dais. He has cards in front of him to introduce Kissinger and he says, “Henry Kissinger, whose only other trip to India was when he was an assistant professor at Harvard and he was of course of no importance…” the same thing that Mrs. Gandhi had said. “No importance.” Henry starts to bristle. At this point the crowd starts to roar. This old man was sort of only slightly there with you. He gets really mad because everybody’s laughing; and he wants to know why they are laughing because, for him, being born in 1827 wasn’t inconceivable, I guess. Henry gets up and he’s just livid, you know. He’s livid with Mrs. Gandhi. He’s livid that this charade has just happened. He’s livid with a speech he doesn’t want to give which acknowledges nonalignment’s existence. And he gives it like a machine gun, like he’s just going to get it over with. It was a disaster of a visit. It was just terrible, but we did all the right public things. We gave all the right signals and I think, in a sense therefore, it was the beginning of our healing of our relations the Indians….